It’s the season when we state our goals for the upcoming year, and then as soon as January 1 hits, promptly slack off and ignore them! I know I’ve been guilty of that in the past, but this time around I’m determined to see my New Year’s resolution through. 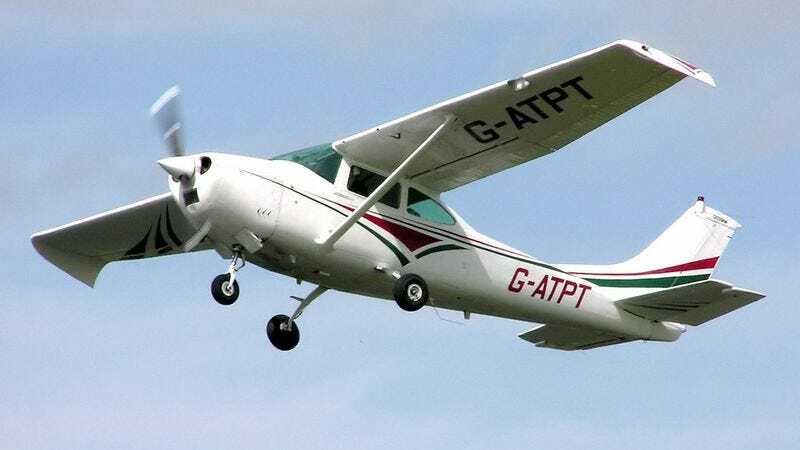 To help me stay focused, I’m adopting just one straightforward goal: to land this Cessna 172 Skyhawk on the runway. It may seem like a simple objective, but the controls of a Cessna are more challenging than you’d think. And I’ll cop to the fact that I didn’t study how to fly this airplane as much as I should have before takeoff. I’ve spent a long time counting my regrets from this year, but ultimately I realized that dwelling in the past won’t get me any closer to the ground in one piece. The new year is supposed to be a clean slate where we can make a fresh start of things. Of course, we should endeavor to learn from our mistakes, but the key is to take constructive action toward landing your Cessna. The first step in keeping your resolution is to forgive yourself. However, a positive attitude isn’t enough on its own. You also have to set a landing plan with a clearly defined schedule and specific milestones to reach. Break down your goal into manageable chunks so you can make progress without feeling overwhelmed. I’ve tried just aiming for the airport and hoping for the best, and believe me, it does not work! Next thing you know, you find yourself heading right toward the terminal or approaching a grove of trees, and you have to pull up and circle around again. Success isn’t achieved instantly—it requires a lot of hard work and dedication. It may seem like a simple objective, but the controls of a Cessna are more challenging than you’d think. 1. Avoid Procrastination – You might want to procrastinate by screaming or crying, but resist the urge to dilly-dally. It’s okay to take a break now and then, but monitor how long you are away from the controls so you don’t waste too much time and fuel. 2. Reward Yourself – Encourage yourself with rewards for good behavior. For example, every time I finish reading a chapter of the flight manual, I treat myself to a handful of M&M’s. 3. Realize A Setback Isn’t The End – To err is human, and you’re not going to be perfect. It’s okay if the plane stalls every once in a while, as long as you level out the nose and control your yaw with the rudder. 4. Enjoy The Work – Doing something difficult doesn’t have to be stressful! Have fun and make a game out of it. 5. Get Support From Others – Your family and friends will be invaluable in helping you stay on track. If your wife and son are in the Cessna with you, make sure to listen to their feedback. The most important thing of all is stick-to-it-ness! Remember, if you’re really having trouble, there’s no shame in frantically looking for the nearest body of water and trying to land on it. We all want to flawlessly taxi down the runway and hop out onto solid ground, but the number one thing is to stop waiting and get the plane down one way or another. If not this year, then when?